BALCOMBE FETE: is now days away on Saturday 14 July from 12 noon on the Recreation Ground. Come along for a fantastic afternoon and some superb entertainment to this year’s French-themed Balcombe Fete. You will be astounded by the Dog Agility and the Martial Arts displays and enchanted by the music of Inchoir in the central arena. We will also have a Zumba class available for all to join in and hopefully the amazing Hunting Hounds running amok and causing delightful chaos in the Craft Tent! Our own Balcombe Dancing School will be giving it their all on the dance floor in their pretty costumes which always lifts the spirits, and then it will be time to have a giggle as you can watch the Tug-of-War competitions and the Egg Catching. All this and a host of exciting stalls and familiar faces around the arena, not to mention the classic cars, a jazz quartet, Bouncy Castles and of course the Beer and Pimms Tents. The Dog Show will be also be running again with classes for every type of dog. The Scouts will be cooking up a storm with burgers and sausages and there will be cakes galore. If you haven’t thought about entering the Flower and Craft Show then think again – it is a bit of fun and adds to the spectacle of the afternoon. You can also enter a Scarecrow in the Parish Council competition for individuals and clubs – there are cash prizes. Our stupendous Raffle this year includes an Ockenden Manor surprise, £100 donated by Airtech, Alan Wright Photography Voucher, a meal at Jeremy’s, Highley Manor Meal for 2, Wickwoods Hotel Meal for 2 and a Linear Fitness Voucher. We are so grateful to these organisations for supporting us. This year because we have had so many extraordinary prizes donated by our generous local businesses we are also introducing a Silent Auction. Among the items up for grabs will be Balcombe Estate Logs, Personal Training from both New Barns and Linear Gyms, a Meal for Four at the Half Moon, a Pet Grooming Session and more! As mentioned many of our fantastic Balcombe clubs and societies are represented and there will be a poignant display from the History Society marking the centenary of the First World War. Look out too for the Parish Council’s Poppy Project which will mark the centenary with a display of ceramic poppies from the Church and you will be able to paint and buy your own at the Fete. In the evening, there will be music to enjoy from local group Sweet Facility who are sure to get everyone up and dancing with a great mix of anthems, disco and pop. Food is available in the evening too. We are always looking for volunteers to help set up on Friday, on the day and to clear up on Sunday. If you can spare an hour we would be so grateful, please contact Charlie on 811448. PARISH MAGAZINE COPY: is due on Sunday 15 July. BALCOMBE CARE GROUP AGM: is on Wednesday 18 July at 7.30 pm in the Parish Room. 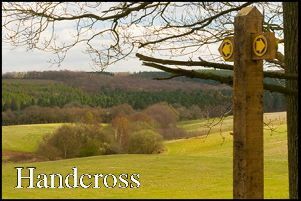 BALCOMBE PARISH COUNCIL: meet on Wednesday 18 July at 8.00 pm in Bramble Hall. CINEMA: The next film in the Victory Hall is the Guernsey Literary and Potato Pie Society at 7.30 pm on Friday 20 July.